Am I dreaming? 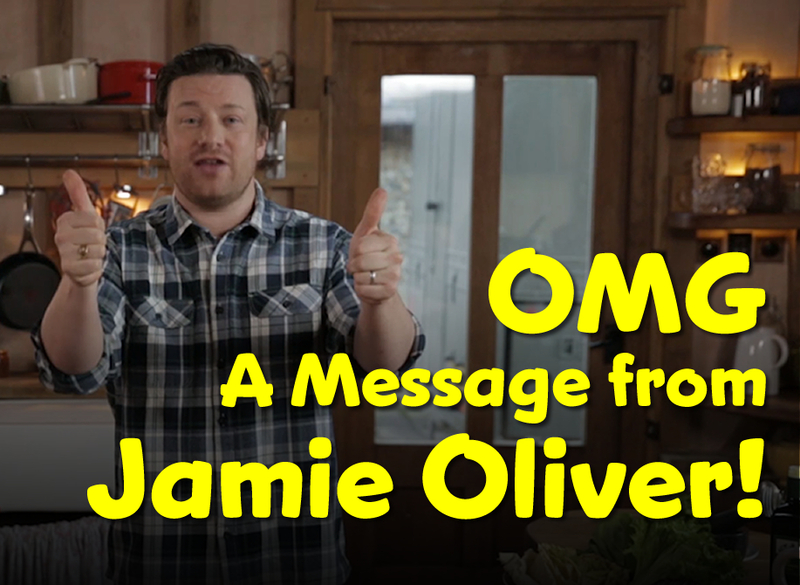 I woke up this morning to the best surprise EVER – a video message from my hero, Jamie Oliver! I COULD NOT BELIEVE IT. I have to share it with all of you! Weeeeeee!! !